“The capacity audience of the State Library auditorium was thoroughly captivated by your Diggers’ Songs & Stories’ presentation. It succinctly brought to life the stories, humour and role of music in such horrifying tough times.” Samantha Hagen, Event Manager, State Library of NSW. 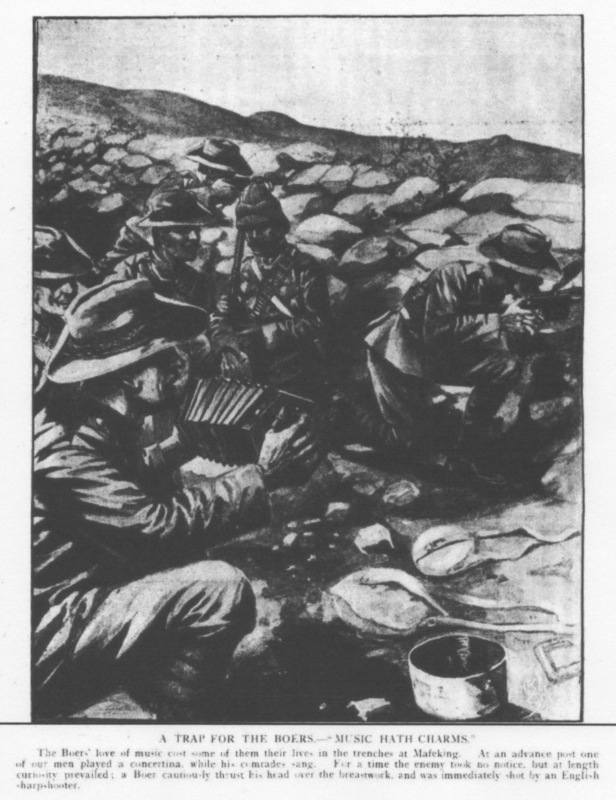 The stories, songs, poems and humour of Australia at war offers a fascinating insight into our reputation as tenacious fighters with a reputation “I’d rather shoot than salute”. WW1 happened at a crossroad of Australian social life for around the turn of the century our population shifted dramatically from largely living in the bush, to working and living in the city. Rural work was replaced by factory and commerce. For many of the young men who marched away to war, be they from the farms or factories, this was their first overseas trip. They were excited and they were scared but, above all, they were fighting for Queen and Country. The songs, poems and humour that tell of anti-conscription campaigns, enlistment marches, training camps, leaving Australia and, eventually trench life, tend to be laconic – the typical outback dry sense of humour that reflects our sunburnt country. Warren Fahey has been collecting, writing about and singing these songs and ditties for nigh on fifty years and offers a deep kit of material that illustrates another side of our fighting forces. 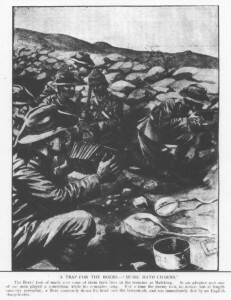 Some songs are familiar but most are ribald parodies, typical of the stories raw recruits sang in training camps, on route marches and whilst waiting on the front line. They kept morale high, encouraged comradeship and provided a convenient and acceptable release for the fear and frustration most felt about their wartime environment. 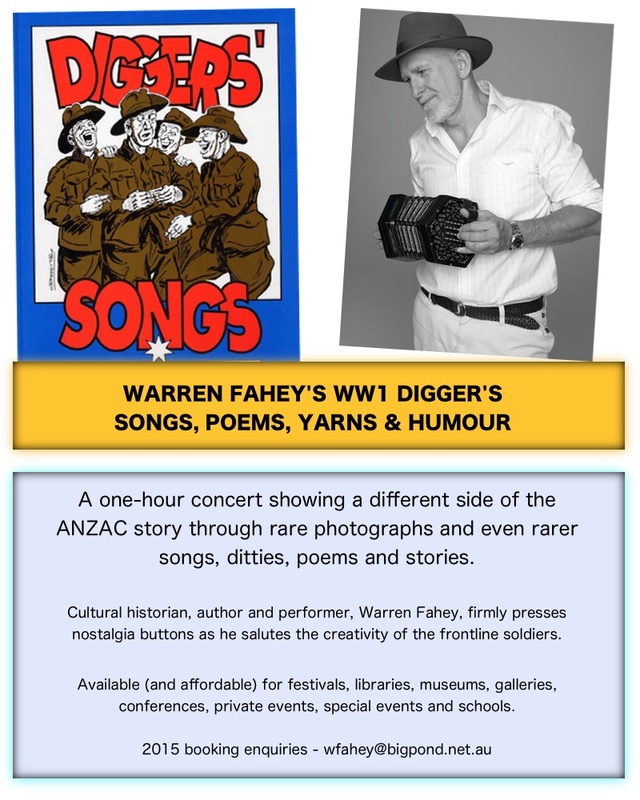 Diggers Songs, Stories & Humour is a one hour program, fully illustrated with an accompanying image program featuring rare archival material including photographs, recruiting posters, cartoons and ephemera which bring his stories to life. Warren is accompanied by either Max Cullen (who does some diary readings and joins in the songs) or multi instrumentalist Marcus Holden. This unique concert has been performed at hundreds of venues across Australia including the State Libraries of South Australia and New South Wales plus regional libraries Ashfield, Penrith, Mosman, Coffs Harbour, Port Macquarie, Hurstville, Kogarah, North Sydney, It has also been performed at various festivals and special events. 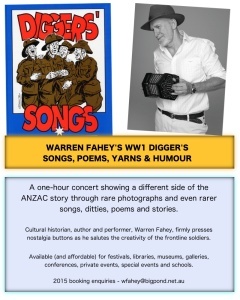 Warren is the author of Diggers Songs – Australian Military History Press and features on the CD of the same name (Rouseabout Records). 2016 will see a continued program remembering WW1 including the anniversaries of the battles of Pozieres and Fromelles. Already performed at leading libraries and festivals across Australia including the State Library of South Australia, Hornsby Library, Ashfield Library etc. Contact Warren Fahey for booking enquiries.